New Jersey judges will not hesitate to impose maximum punishments against anyone who takes advantage of other people and steals services. That’s why Theft of Services is one of the most serious theft offenses a person can be charged with. Although you might not think of yourself as someone who would ever commit felony theft, the truth is even stealing cable can be considered a very serious theft offense. In fact, some actions that we might think area relatively harmless or even playful may be classified as felony-level theft crimes. For example, you could face serious consequences if you “eat and run” by fleeing a restaurant without paying the bill. Regardless of the circumstances, you are now facing significant penalties. The Tormey Law Firm is a local law firm with a specialized practice that focuses exclusively on criminal defense. We represent clients accused of Theft of Services throughout Essex County, NJ, including West Orange, Montclair, and Caldwell. 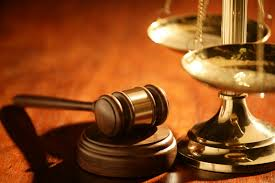 Our litigation team includes a former county and municipal prosecutor who has a unique understanding of prosecutorial tactics in these cases. Additionally, the firm’s founding partner, Travis J. Tormey, is a highly skilled litigator who really shines in the courtroom. 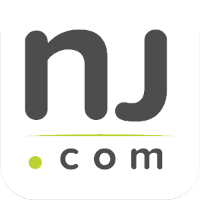 In fact, multiple media outlets have referenced Mr. Tormey because of his work on theft cases in New Jersey. If you or a loved one has been accused of Theft of Services, call us at 201-654-3464 so that we can begin crafting a defense strategy and help you beat the charges. Theft of Services in New Jersey is addressed by N.J.S.A. 2C:20-8. It is against the law to use deception, threats, or other means to avoid payment for services. The law also prohibits a person from embezzling or diverting services to another person who is not entitled to the services. “Services” that are covered by the statute include labor, professional services, use of motor vehicles, entertainment services, and public services like gas, water, electricity, and cable. The services must typically require some kind of payment or compensation. That’s why intent matters: the offender must know that the services could only be obtained for compensation. The offender’s intent can be inferred from their actions. For example, if you leave an establishment without paying for services rendered, the law will presume that you intentionally deceived the provider of the services. This happens most frequently when a person absconds from a restaurant or hotel without paying the bill. Each Theft of Service charge will also result in a separate $500 fine. Additionally, anyone who is convicted of Theft of Services will be required to make restitution to the vendor. The attorneys at the Tormey Law Firm understand the nuances of New Jersey theft law and can help you beat your Theft of Services charges. Call us today at 201-654-3464, or email us to schedule a free consultation at our office in Newark.